Seeing as this is the first-ever blog post I've made since joining Destructoid a couple months ago, technically speaking, nobody knows anything about me. This will be no doubt quite easy, then. I look forward to meeting the rest of the Destructoid community in all its glory very soon... I've been just lurking for a bit too long now. 1) I'm a film major-- almost done with my sophomore year at the Art Institute of Miami, and I am attending on a half-tuition scholarship. I'm currently in pre-production for my first digital short narrative. No, I don't know for sure what I want to be when I grow up and finish my degree. 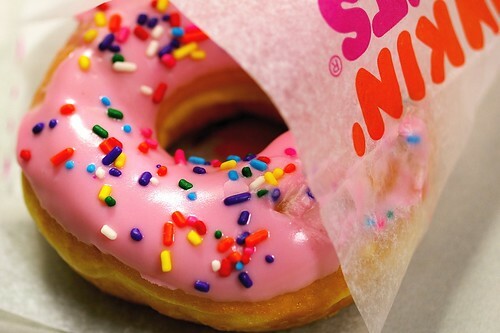 2) Favorite breakfast food: "pink" donuts at Dunkin Donuts with a bottle of chocolate milk. Thankfully I make a habit out of not eating them too often! 3) I originally hail from a small town in Massachusetts... no it's not Boston, and no I don't think I have an accent. 5) Pokemon is still awesome. 6) I pay for school (or try to) and other expenses working part-time in South Beach Miami as a bartender. Yeah, I got some knowledge and some skills, come do shots with me! 8) I don't swear that often IRL, but I will typically not censor myself on the interwebz. 9) My room is in a constant state of disaster zone and disaster zone-recovery. I don't know why it's so difficult for me to keep things orderly.